It had been called "unfilmable" but seven years ago a group of H.P. Lovecraft fans filmed it. Let's take a look at The Call of Cthulhu. The story The Call of Cthulhu was written by H.P. Lovecraft in 1926. It's the only story he wrote that features the titular character, but it's the one that eventually lent its name to the mythos that Lovecraft created and others—contemporaries and successors—expanded on. It's a story that unfolds in a non-linear fashion, presented as a manuscript that collects several narratives to piece together a series of seemingly unrelated events. The film version of The Call of Cthulhu was produced in 2005 by the HP Lovecraft Historical Society (HPLHS,) which seems to have started as a Cthulhu Mythos oriented Live Action Role-Playing group, but has branched out into a wide variety of related projects, including music and audio dramas. Their previous video project was 1987's The Testimony of Randolph Carter, a VHS production which has only been shown a few times and is apparently most notable for being "too long." Fortunately, The Call of Cthulhu clocks in at just over 45 minutes, about the length of an American "hour long" drama. Its basic conceit is that it is an adaptation that was filmed at about the time the original story was written. Using a process they dubbed "Mythoscope" they mimic as much as possible the look and feel of the silent films of that era, as well as the toll that time would have taken in the meantime. With a few exceptions, the process works fairly well. 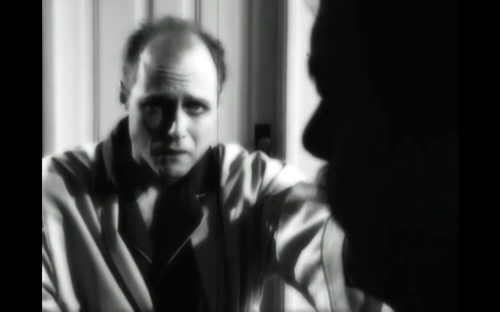 The film is presented as a series of flashbacks. A new layer has been added to frame the story, with the writer in the original conversing with a new character who acts as a stand-in for the viewer. This allows them to up the ante, with the narrator now suffering a similar fate to his predecessors. It's an interesting choice, and completely in line with the spirit of the original. The acting and the cinematography are first rate. They have clearly spent some quality time with films of the era, and manage to evoke that era without parodying it. They're not slavish, though, and are willing to use camera angles (like overhead shots) that would have been quite difficult at the time. The music is also excellent, opting for a full orchestral feel rather than the piano or pipe organ that was more common and that we tend to associate with silent films today. The special effects are a mixed bag. Some CGI and digital layering are used to create more elaborate sets than they could build. In the more naturalistic settings it stands out, but in the (un)sunken city it contributes to the feeling that things are just wrong. 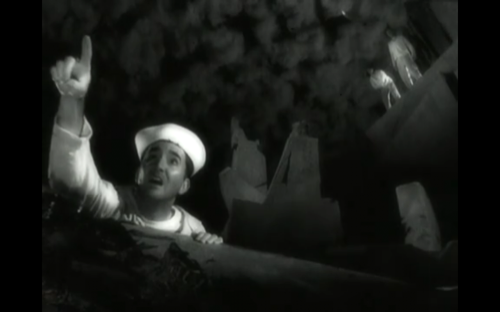 They use stop motion animation for the creature effects, which is appropriate since The Lost World) would have been contemporary with this film's assumed date. Additionally the jerkiness of the motion adds a Brothers Quay feeling of unnaturalness. They could have edited it a little tighter, though, as the creature suffers from too much exposure. I highly recommend this one. It's available on Hulu, if you don't mind your existencial horror intermingled with Lean Cuisine ads. You can also find it on Netflix or on DVD from the official store. I found a copy of the DVD at my local Barnes & Noble, but I suspect not all of their stores are as well stocked.